NORWAY: Utility Statkraft will stop investment in offshore wind claiming the sector is too "capital intensive". The move comes as part of an adjusted investment plan, which has also postponed some of the company's hydropower projects. "Offshore wind power is capital intensive. The reduced financial terms from the owner [the Norwegian government] mean that it is not possible for Statkraft to invest in new offshore wind projects," said Statkraft CEO Christian Rynning-Tonnesen. In the company's Q3 report, issued at the end of October, Statkraft posted NOK 1.14 billion (€120 million) in pre-tax earnings – a fall of 50% from the same period in Q3 2014. Statkraft blamed low energy prices for the fall in earnings. The company's entire offshore portfolio is located in the UK. The decision will not affect the development of the current pipeline, although Statkraft will stop investment in some sites. A Statkraft spokesman said the 402MW Dudgeon offshore project will be unaffected by the decision. Dudgeon is currently under construction off the UK's east coast and is due for completion in 2016. It received an early Contracts for Difference subsidy from the UK government in April 2014. The 900MW Triton Knoll site "will continue" according to Statkraft's spokesman. However, Statkraft will stop investment in the site while continuing to help with development. Statkraft purchased a 50% stake in the project being developed by RWE Innogy in February 2015. RWE said the project partners remain "committed to ensuring its success". "RWE and Statkraft have assembled a strong and dedicated project team which is actively taking the project forward. Both partners are committed to ensuring this team remains in place and continues to progress the project within existing timescales," RWE said in a statement. Offshore construction is due to begin at the site 33km off England's east coast in 2018 and is estimated to be online by 2020. Statkraft is also a member of the Forewind consortium developing the 4.8GW Dogger Bank zone. The project will also continue, according to Statkraft, but investment from the firm will also cease. Statkraft said it had not fully completed conversations with other consortium partners SSE, RWE and Statoil as to what its involvement will be. 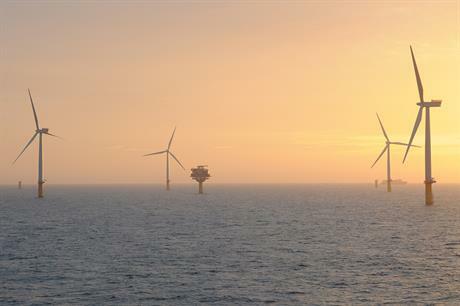 Statkraft's move follows SSE, which said in March 2014 it would limit its involvement in the Dogger Bank site, following a scaling back of its offshore activities. Statkraft also owns a stake in the 317MW Sheringham Shoal project with Statoil and the Green Investment Bank. The project came online in 2012.